The JSCG staff is finally back at the studio today! Even our photographer, Tyler Coleman Forton is here for a couple days to shoot new work that will be ready for purchase on our online store. Can we have a little bit more snow (like this) for the holidays? One more day until winter break! Josh, Tucker, Jay, and Mike have all been busy pulling bundled and complex layered cane these past few days. Here are a few captured steps for one cane pull. MONDAY in the hot shop! Thank you, Greenfield Community College students for your excellent presentations today. Another huge thank you to their Marketing course instructor, Tina Stevens, for the opportunity as the classes "client". Both the studio and Salmon Falls Gallery staff together enjoying the annual JSCG holiday lunch! 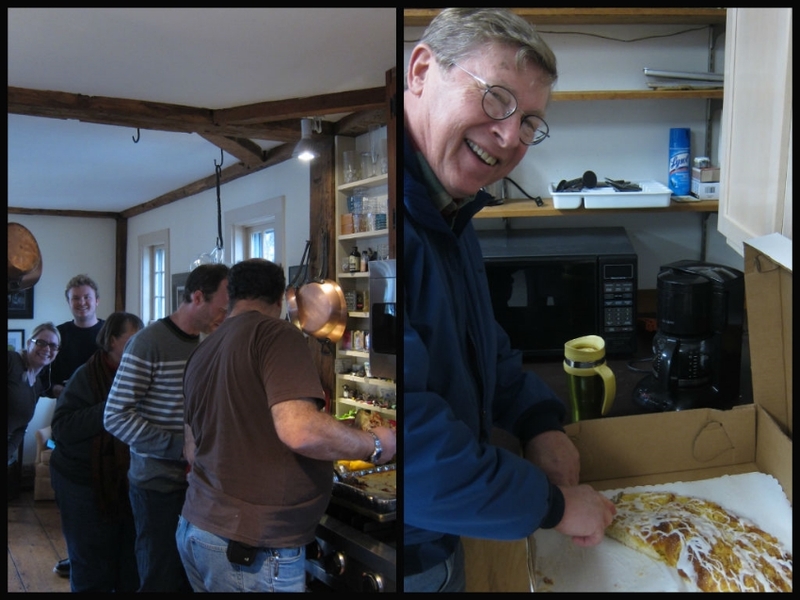 The annual race track pastry and staff lunch for the holidays! We all wanted naps afterwards... Delicious! 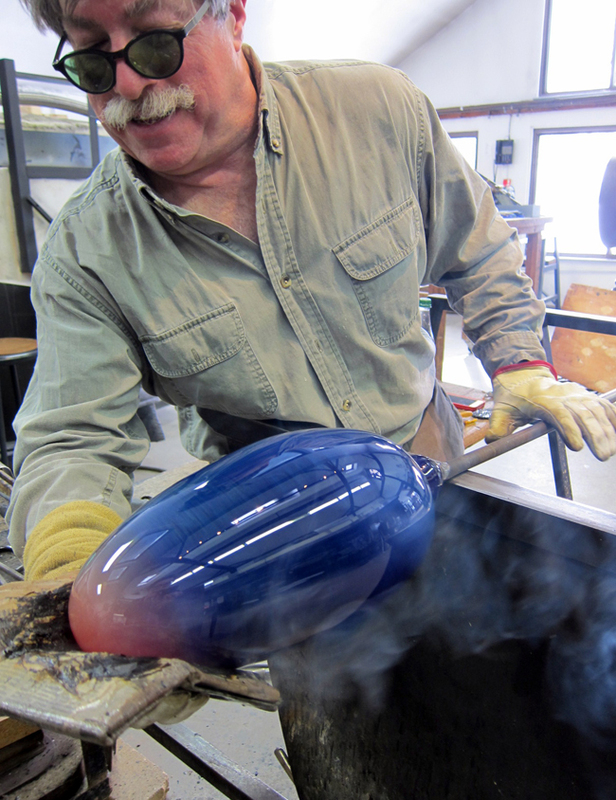 Kim Polishing 3" Inhabited Planet Paperweights in the cold shop! Josh and Jay working on some Blue New Mexico Bowls. Josh checking some 3" Inhabited Planet Paperweights. Everything Josh makes is checked before it is cold worked, signed and sent out the door. Congrats to Cady Coleman and the rest of NASA on a successful launch and future space discoveries! The studio during snow fall last Wednesday. Comet Planets for sale on the purchase page! Click this photo to check them out. Glass for a glass artist. Josh cutting slices of circular shaped Filigrana Cane which he adds into his Planets and other Inhabited work. They look like white spiral wires or mysterious magical ribbons. Kim grinding the bottom of a 3" Inhabited Planet Paperweight in the cold shop! Josh, Jay and Tucker are working on bowls today! Hmmm where can these go?? Would anyone like some empty boxes? Opening day of the Philadelphia Museum of Art Craft Show! Good bye for now Philadelphia! Josh, Jacqui and Kim had a wonderful time at the craft show and enjoyed everyone who visited! A lovely lady found this Small Possibly Inhabited Planet in a dumpster!! It was signed in the 90's by Josh. She'll cherish it forever. Up close to a Red New Mexico Planet. Kim Simpson bonking 3" Planets off a blow pipe. Josh has quite the collection of glass color rods! Looking through photographer Tommy Olof Elder's negatives. Tommy was Josh's photographer for over 20 years! Josh working on each 3" Planet core filling it with life, Jay Brown and Tucker Litchfield shaping the exterior atmosphere for each Planet, and Kim Simpson bonking Planets off the pipe and putting them away to cool. We're happy seeing a busy hot shop! Josh found the one and only hollow/.blown Megaworld! He made this Planet with his crew in the 90's. This is the result when your bookkeeper (Diantha) gets just as much mail as you! 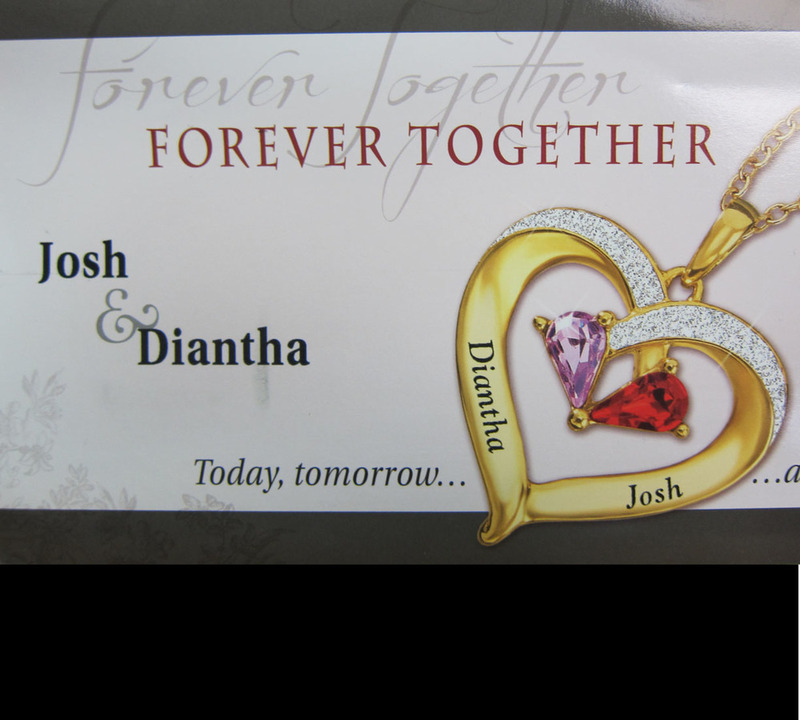 Forever together means you can NEVER retire, Diantha! Josh caught this beautiful fall view from the hot shop with the fog rolling over the valley. Hope everyone enjoys a beautiful Friday! Out with the old.... and in with the new! Josh's clear furnace exploded a bit over Friday night. 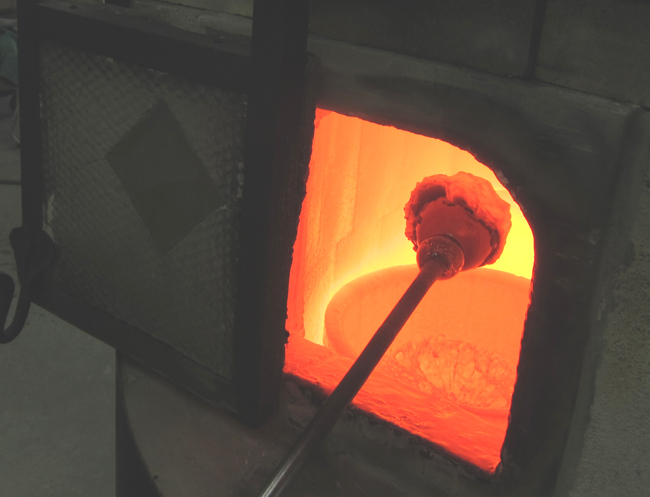 The crew is in the hot shop fixing it up with a new crucible pot! 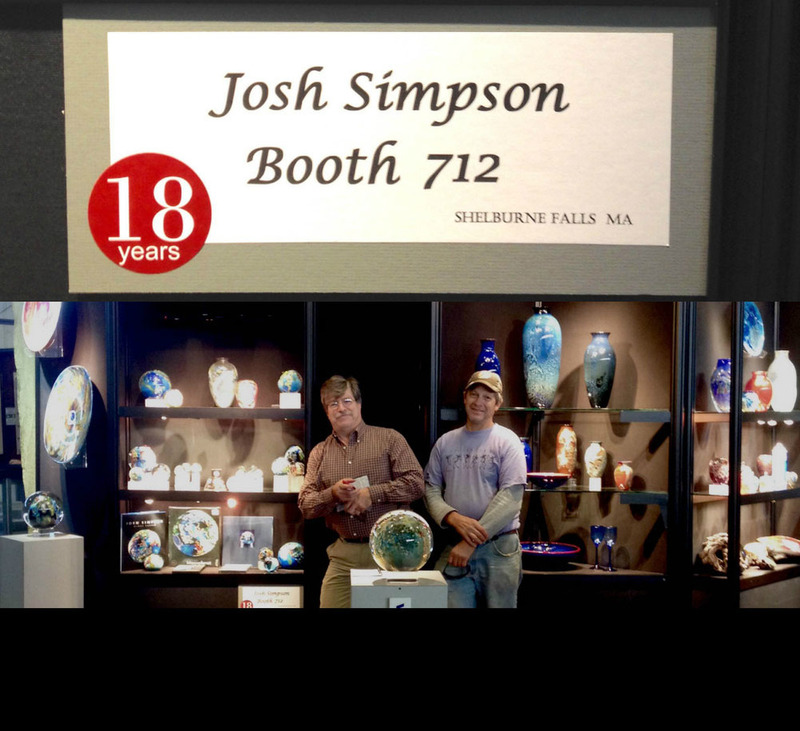 Josh's son, Jamey, was thrilled to have his glass on display with his father this past weekend! The van's packed and we're ready for Paradise City! Northampton, we're ready for you! Click this image for this weekends Paradise City craft show! One of our wonderful collectors shared these pictures of an early Platter from 1977 with inclusions of silver! Kim, Jacqui, and Josh have the display ready for the beginning of Paradise City: Northampton. WOAH.... This looks like a crazy dream. Pretty fitting for the first day of the spookiest month of the year! A new video has been added to our -About Josh : Videos page! 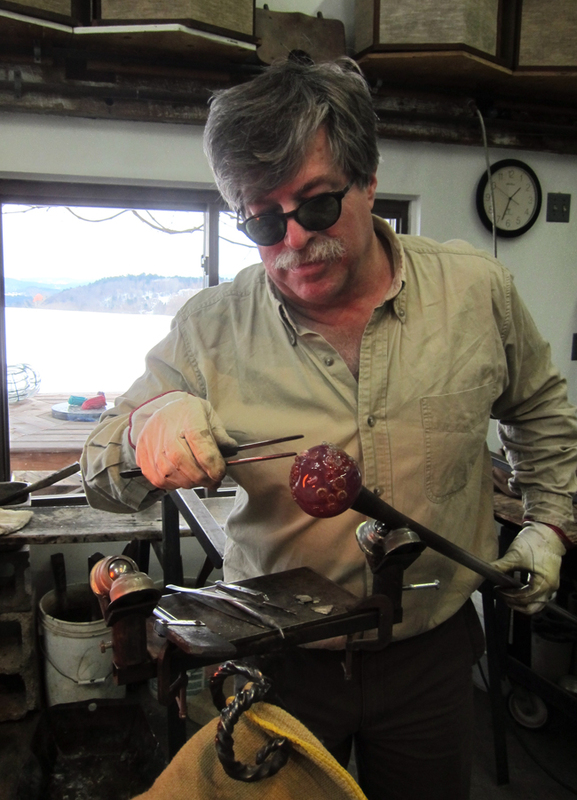 Watch him make a beautiful Corona Tektite Sculpture! You can click this image to get there! Look at these beautiful spaceships! You can find them in Josh's Inhabited glass work like his Planets or Inhabited Vases. Josh captured the beautiful sunset last night! The season is just about at it's peak! If you get a chance, take a drive down the Mohawk Trail (Rt. 2) and admire the beautiful fall foliage! Why not make a day of it? You can swing through Shelburne Falls Center walk on the Bridge of Flowers, eat a delicious lunch and stop in the Salmon Falls Gallery! Perfect. Hoppy FRIDAY! We're ready to leap into the weekend! Frog legs anyone? 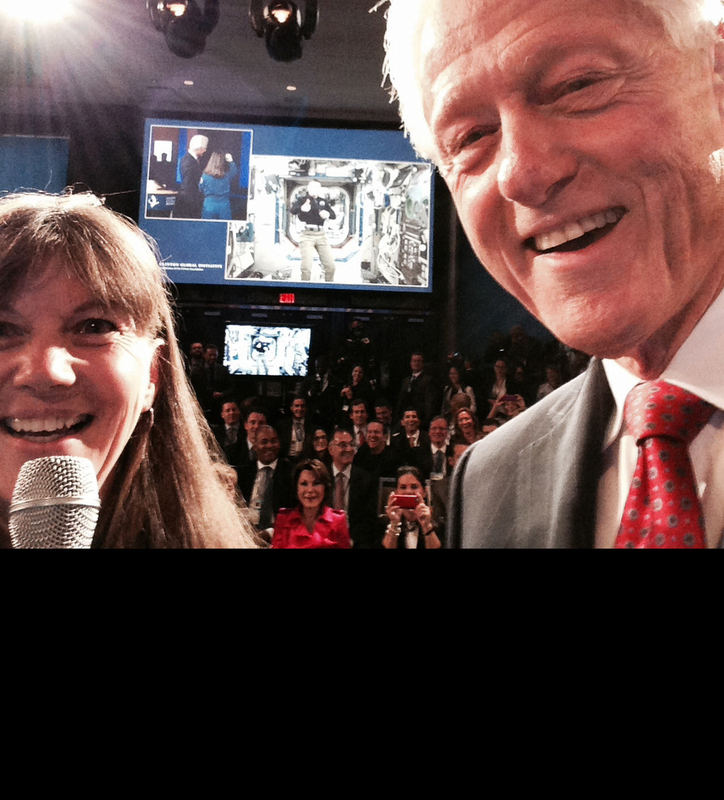 Josh & Cady at the Clinton Global Initiative... Last night Cady & President Clinton took a selfie with Astronaut, Reid Wiseman on the International Space Station! Watch Bill, Cady and Reid discuss the future of space exploration. Josh and all had a great time this past Saturday in Westfield, Massachusetts celebrating the MEGAPLANET PALOOZA street festival! We would like to thank everyone who made this and past Westfield events possible! WESTFIELD EVENTS THIS WEEKEND! Inspired Explorations exhibition reception - tonight from 5:30 to 7:30 at Westfield State University's campus gallery and the Megaplanet Palooza Westfield's downtown street festival - tomorrow, Saturday the 20th from 12 to 6 pm! Wishing Diantha and her daughter, Martha a very happy birthday! Enjoy the cinnamon apple muffins! Click this image to read! We're noticing some changing leaves... that means the beautiful fall season is in the works! New exhibit opening today at Westfield State University's on campus Arno Maris Gallery! Find more info and directions on our Upcoming Shows and Exhibition page! Admiring the vibrant sunshine onto this Planet! We've been debating on titles for this one.... "Today in the Garden" or "Corning Beef and Cabbage". Josh "tenderizing" the Fla - Vor ice popsicles. Beautiful sunflowers in Josh's garden. We all wish you a relaxing Labor Day free of labor. Jamey took Emma on a golf cart ride for her last day! Found a file of older photos taken in the early 70's while Josh was busy starting up his glass blowing career. 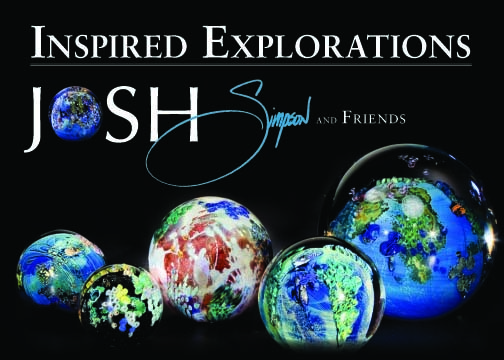 It's the last week to check out the Glass/bash exhibit at Salmon Falls Gallery. 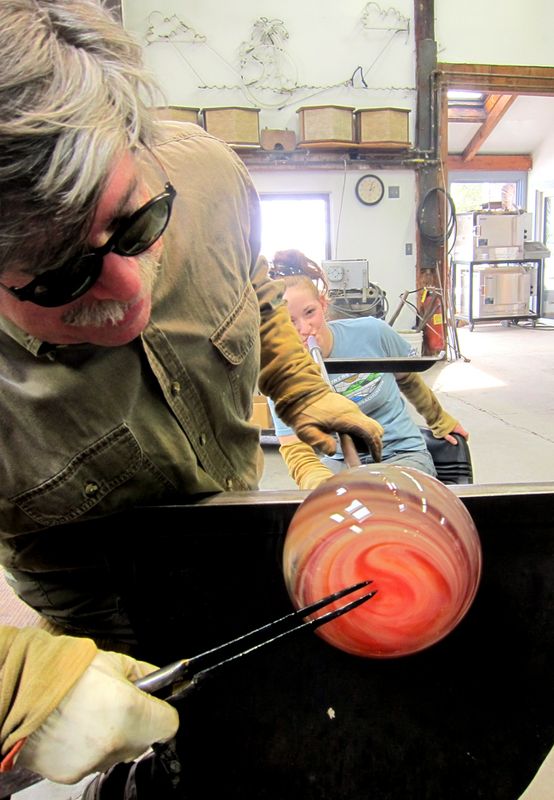 A collection of eleven talented glass artists on view until August 31st! The Westfield on Weekends Television Show crew had a great time last week recording an interview between Josh and Bob Plasse. Everyone in the Wesfield area can catch it on channel 15 in the beginning of September. Western Mass has it's fill of rain recently. On a day like this, Kim gets to be in the grinding shop. Our vacation is officially over and we're happy to be back! Jacqui's brother, Henry is helping Kim weed the vegetable garden on this beautiful day. Josh outside of the Westfield Athenaeum. Wishing you a Happy 4th and some good laughs! The Megaplanet Promenade was a success this past Saturday in Westfield, Massachusetts! We all had a blast! You should visit the three exhibitions. Call us or go to www.joshsimpsonuniverse.com for more info! Josh with his work at the opening of the "Glass Today: 21st Century Innovations" show at the New Britain Museum of American Art last night. The crew took some new group photos recently. Josh zoomed in on this one... mean mugs and all its ridiculousness. Today is Chip's last day! 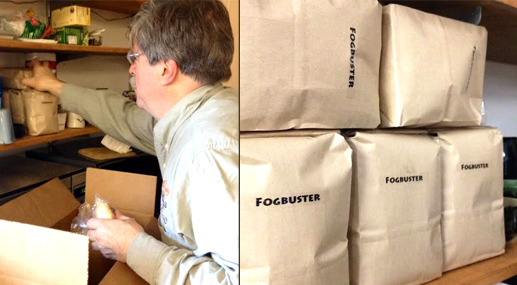 He has been delivering and picking up our UPS shipments for 30 years! We look forward to his next visit, even if he doesn't have a box of goods for us. Congrats, Chip on your many years of wonderful service! Josh after he received his Honorary Degree from Westfield State University! Dunkin' portals into the Tektite glass! Jacqui felt pretty safe with Cady in this space shuttle at Amelia Park Children's Museum in Westfield. Jerry Greenfield (from Ben and Jerry's Ice Cream) scooping Josh and Cady's favorite: Chocolate Fudge Brownie at Westfield State University's commencement! Just checkin' out some of the Copper Ruby glass! Josh is working on some new Corona Vases today! Beautiful blooming Azalea by Josh's pond. Ohhhh that beautiful Sunshine Corona! Josh making a spaceship shoot out of the 6" Megaplanet's core! Tyler is happy to have the photo room back in order after a little Spring cleaning! 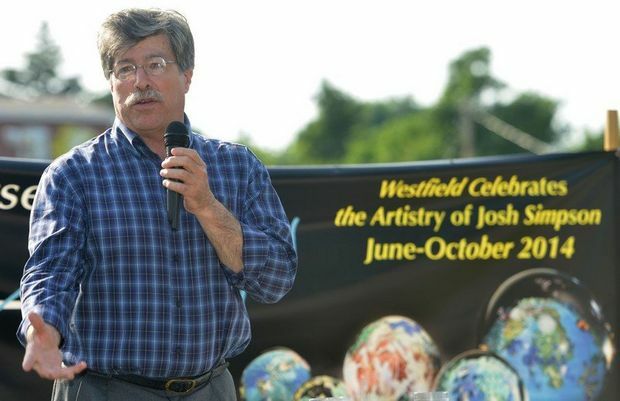 A BIG thank you to all who attended Josh's lecture at Westfield State University last night! The room was packed with students, faculty and community supporters. Looking forward to more events in Westfield this summer! Making 3" Planet Paperweights today! Wishing everyone on our planet a peaceful and lovely Earth Day! Josh took a great picture of his son, Jamey and brother, Kim when we still had that white stuff on the ground. Kim was busy preparing the yard for warmer weather. Time for brush burning! Welp! Been a few years, but it's about time to clean out the pond scum!! Today Josh is making spaceships for his Planets and other inhabited work. Seems so peaceful. It's a beautiful rainy spring day! Lovely to see the Magnolia tree's buds are opening outside of the office window! 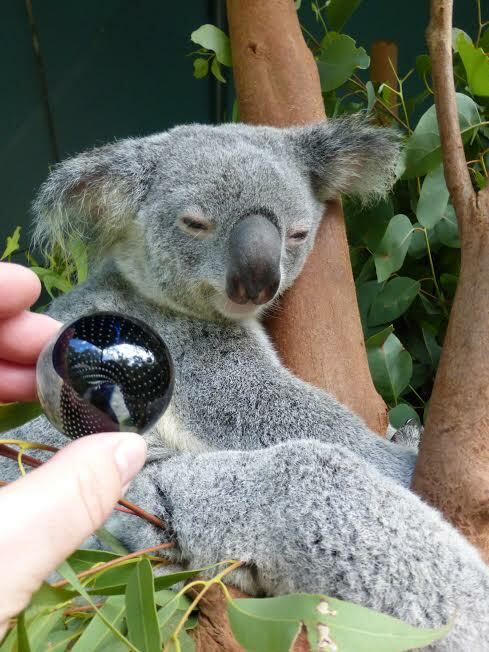 Special Infinity Planet hanging out with some Koala's in Australia. Smaller Corona Platters for today! Love seeing the colors shine in the sun! Enjoy the warmer temps this weekend before it gets too HOT! Josh found time to fly the plane! This past Saturday Josh, Cady, and Jacqui attended the 175th Anniversary Scholarship Gala at Westfield State University. During the Gala, there was a raffle for one of Josh's Planets. All donations going towards a kick-starter scholarship for Arts and Science. Enjoying the bright sunny day! The usual: Josh saying something goofy and Anne trying but failing to keep a straight face! Josh has been testing his Sunshine Corona glass today! Wishing we could have this deliciously HUGE racetrack pastry Jonathan Oakleaf brought last week! Josh's Sunday Red New Mexico test melts! Photographer, Mike Rossi in the studio today shooting with 8 x 10 film! Looking forward to seeing the final results! Josh playing spoons on stage last night with the Chieftains at the Colonial Theater in Keene, NH! See him on the left? What good is spring break 2k14 when your malevolent dad makes you help in the studio? 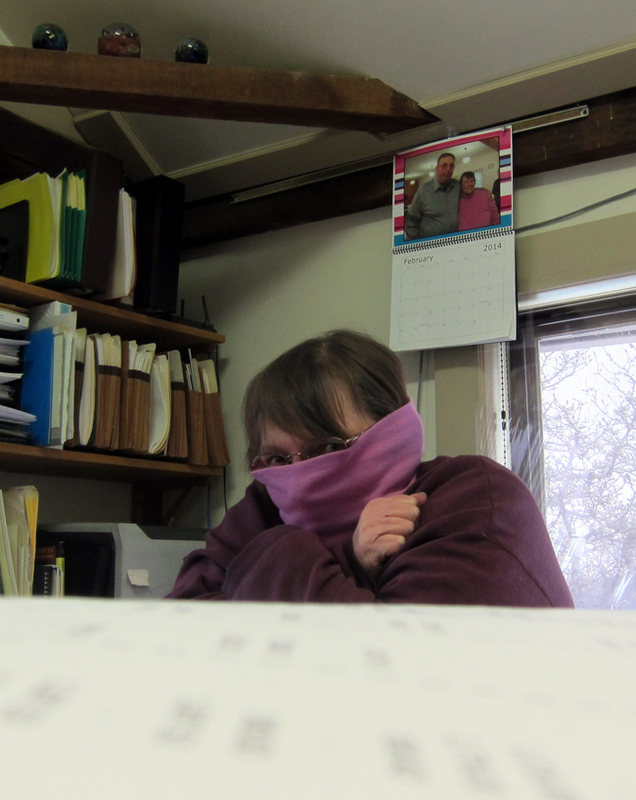 We're all getting pretty sick of the constant freezing temperatures... Diantha finally put her turtleneck to use for today's frigid weather! Before Josh leaves tomorrow for Crafts America: Palm Beach, he decided to make a few 3.5" Megaplanets with Jeff and Anne. Josh and Kim sent an image yesterday after the display was set up. They're ready to go for the weekend in Baltimore! We wanted to share a beautiful picture taken this week by one of our favorite visitors! 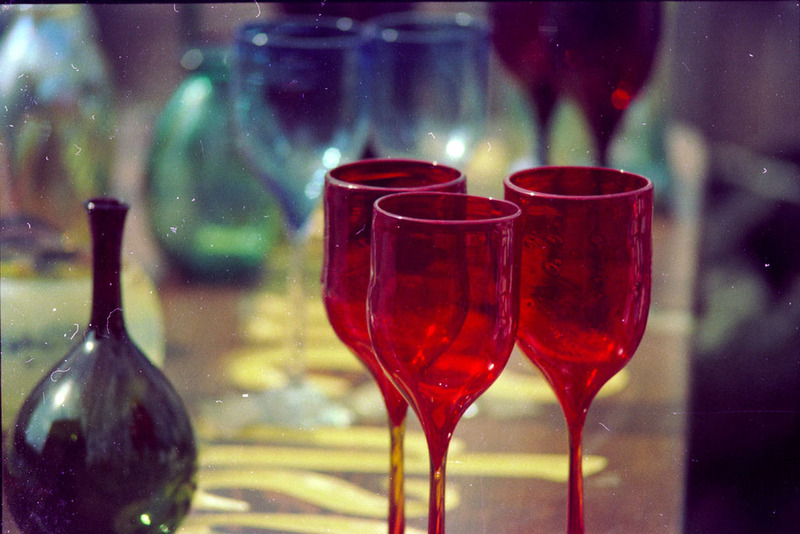 Tyler, our talented new intern has been busy photographing and editing glass for our shopping page. Check out his images and enjoy! Josh doesn't need a holiday to express the crazed love he feels... and today its for medium sized Blue New Mexico Vases!